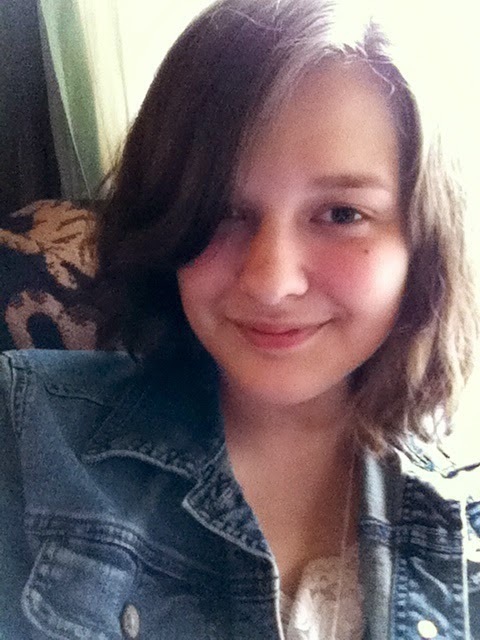 The Relentless Reader's daughter has returned! Time to review another book I've read for school! 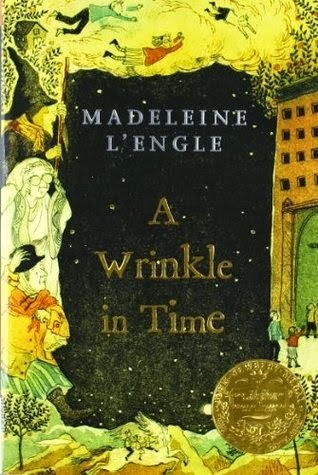 This week I finished reading A Wrinkle In Time by Madeleine L'engle. I can't say I was jumping for joy when I started the book. However, the action started relatively quickly and it definitely wasn't a boring read. In the end I ended up really enjoying it. But (almost) every book has its flaws. I only have two serious complaints. The first is the lack of explanations. Nothing too major, I just felt like there were a few things that needed some explaining. I can't be too specific without giving things away, but I think you'd know what I mean if you read it. This book is only the first in a series, so maybe more questions are answered in the sequels. Secondly, I felt one of the ending moments in the book was a little abrupt. I think it needed a bit more suspense. It seemed anticlimactic. I naturally expected this part of the book to be one of the big moments in the storyline, so I was a little disappointed. Now instead of talking about what I didn't like, I think I should focus on what I did like. First of all, this book had great characters. I thought they were all unique and different from one another. Nothing kills a book's oomph like boring characters! I also personally enjoy diving into symbolism when I read, and this is a great book for doing that. I think my interest in symbolism sparked when I read Lord Of The Flies. If you've read it you'll know that the symbolism is pretty heavy-handed in that book! So all in all it was good read. A solid read. It was both enjoyable and nicely written. Out of five stars? I'd probably give it a...3.9. Next on my reading list is The Call Of The Wild by Jack London. Perhaps you'll hear from me again? It's been a long time since I read this, and I remember thinking it wasn't quite as amazing as everyone else seemed to think it was. I should go back and re-read them sometime. this one was my gateway book to all things Madeleine L'Engle. She is and will forever be my favorite author in the whole entire world. A book of hers that I enjoyed even more than A Wrinkle in Time is A Ring of Endless Light. It's completely different from Wrinkle but oh so good. Fantastic review and way to pick up on the not so great parts of Wrinkle! This was my gateway book, too, and since then I've read everything she wrote. I agree about A Ring of Endless Light and also The Arm of the Starfish. I think I read this book for the first time when I was fourteen, too. Since then, I have read it more times than I can count. I think that Madeleine left things a bit vague for a purpose. For one thing, faith is vague, or at least very personal. Since she writes of faith in her stories, or at least surely of love, it is up to each reader's interpretation to find one's meaning. I love how she left the periods off of the ladies' names. Deliberately, to add to their mystique. I remember reading an editor/publisher was quite cross about that, but she wouldn't change it. The thing I love most about this book,besides the mood it creates of an unusual family, is how love conquers hate. A simple theme, perhaps, but an important one that Meg finally discovers for herself as she tries to free Charles Wallace from IT. Yay, Avery! This is a great review - I'd never considered the book to be vague, but thinking about it I can see how there are things that do lack some sort of explanation, which in a different book might have annoyed me. Great review! Looking forward to your thoughts on Call of the Wild. Yaaaay Avery is back! I read this for the first time as an adult, and I remember being a little frustrated that some of the science-y stuff wasn't more thoroughly explained, so I can see where you're coming from. Yay Avery, I've been hoping you'd share a review again. Love hearing your thoughts! I actually haven't read this one yet, that I remember. I like things to be explained thoroughly, but if the characters are fantastic, I'll live. ;) Such a thoughtful review. Thanks Monika! :) And yes, I picked out the gifs myself! I haven't read this one yet, but as a YA classic, I kind of feel like I should. Good to know that there are some flaws, but also that it's still readable and worthwhile. Great review! Like mother like daughter with the fun gif reviews.